The 2016 Olympic Games Table Tennis competition has now been brought to an end. Featuring yet more Chinese dominance, shock upsets and fantastic crowd support, Rio 2016 has provided 12 days of Table Tennis at its best. Take a look back at some of the key moments from Rio 2016's Table Tennis events. The Women’s Singles tournament at Rio 2016 saw China’s Ding Ning win her first ever Olympic singles gold medal, after her victory over the London 2012 champion Li Xiaoxia (China). Both finalists brought their ‘A’ game as two of the world’s top competitors fought it out for the ultimate prize, but there could only be one winner and it was Ding who took it in the seventh game to seal the gold (11-9, 5-11, 14-12, 9-11, 8-11, 11-7, 11-7). “This is unbelievable, I can’t believe that I am Olympic champion. I have waited so long for this; it is a dream come true” – Ding Ning (China). Earlier in the competition there had been a shock elimination for the number four seed Kasumi Ishikawa, after the Japanese player lost out to DPR Korea’s Kim Song I (27th) in their round three encounter. Kim would then go on to cause yet another surprise by beating the sixth seed Ai Fukuhara (Japan) 4-1 in the bronze medal match, becoming the first representative from DPR Korea to win a Table Tennis medal since Kim Hyang-Mi won silver at Athens 2004. Ni Xialian (Luxembourg) and Jian Fang Lay (Australia) both enjoyed wonderful outings in the Women’s Singles event, as the 53 and 43-year-olds both managed to reach the third round. Adriana Díaz of Puerto Rico also deserves a special mention as the 15-year-old beat Olofunke Oshonaike (Nigeria) in the opening round of the main draw. 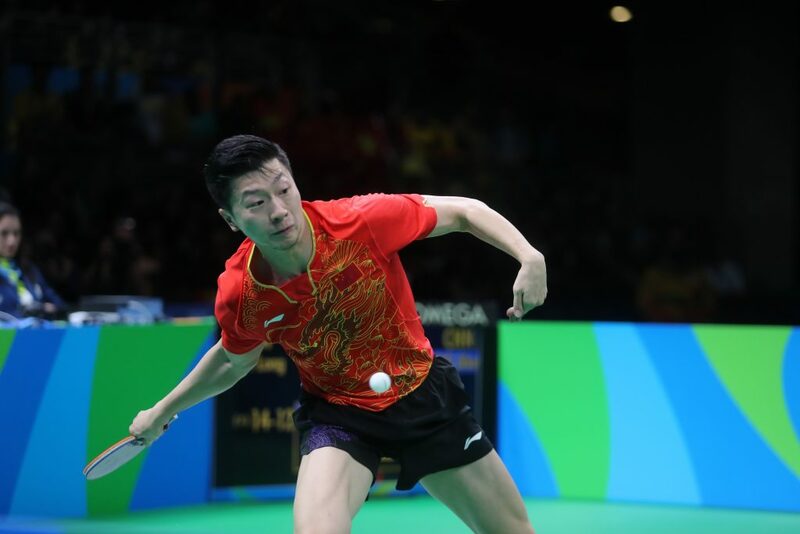 Ma Long stood victorious over fellow compatriot Zhang Jike in the Men’s Singles final, as China won their second Table Tennis gold medal of the Games. With the top two seeds going head-to-head there was potential for a thrilling final, however, after edging the first end in deuce, Ma thundered past Zhang in the following three games to win the gold medal on his Olympic singles debut (14-12, 11-5, 11-4, 11-4). “We both know each other very well, so it’s not a competition of skills, but more of mentality and psychology. For me, I’m not defending any title here, so I have less pressure on court. After winning, I’m still feeling calm.” – Ma Long (China). Jun Mizutani played some of the best Table Tennis of his career at Rio 2016, and he did his country proud by becoming the first Japanese competitor to win a singles medal at an Olympic Games with his victory against Belarusian Vladimir Samsonov in the bronze medal match. The Men’s Singles event also featured fantastic performances from two players in particular: Hugo Calderano and Quadri Aruna. Calderano made full use of the home crowd advantage as the Brazilian negotiated the likes of Par Gerell and Tang Peng on his way to a round four finish. 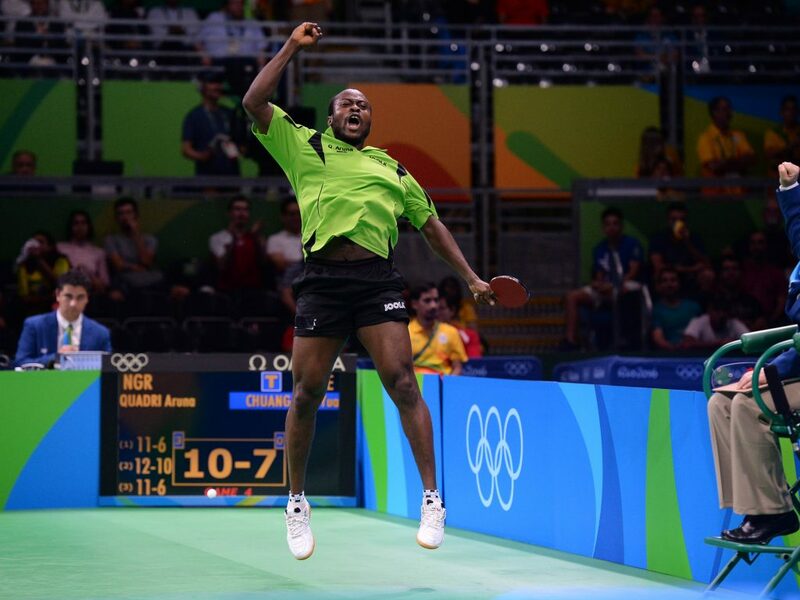 Nigerian contestant Aruna caused arguably the biggest upsets in the category as the 27th seed beat Chuang Chih-Yuan (6th) and Timo Boll (10th) before eventually exiting to Ma Long in the last eight – becoming the first African to reach that stage of an Olympic Table Tennis competition: “This is amazing, I don’t know what to say. My fans made me do this. Thank you for all the Brazilian spectators for their support. They gave me so much energy. This feels so good, it is a dream come true,” said Quadri Aruna. Two major achievements came from the Women’s Team category, as Germany won silver and Mima Ito won a team bronze with Japan. Germany’s silver is the first medal of any colour to be won by a European country in the Women’s Team competition, while Japanese teenager Mima Ito became the youngest competitor to win an Olympic Table Tennis medal aged 15 years and 300 days exactly. “I am just happy to win the medal. Before I played Fukuhara and Ishikawa played well. It was because all of us that we got this medal, not just my performance. I am looking forward to getting home and showing my medal to my family and supporters.” – Mima Ito (Japan). The Chinese Men’s Team ensured that their country would return home with all four of the Table Tennis gold medals that were up for grabs, for the third Olympic Games in a row. Ma Long, Xu Xin and Zhang Jike came through a tough final against Japan, in a match that could easily have gone the other way. Jun Mizutani’s win over Xu gave Japan a tremendous opportunity to take control of the final, but the strong doubles combination of Xu and Zhang put China back in front before Ma Long registered his second victory of the night to end the Japanese side’s hopes. “They did great, every one of them played well, and we are very touched by this victory.” – Liu Guoliang (Chinese men’s coach). Germany finished in the bronze medal position for the second successive Olympic Games with a solid showing against Korea Republic. Bastian Steger, Dimitrij Ovtcharov and Timo Boll prevailed with a 3-1 win, with Jeoung Youngsik, Joo Saehyuk and Lee Sangsu left disappointed. 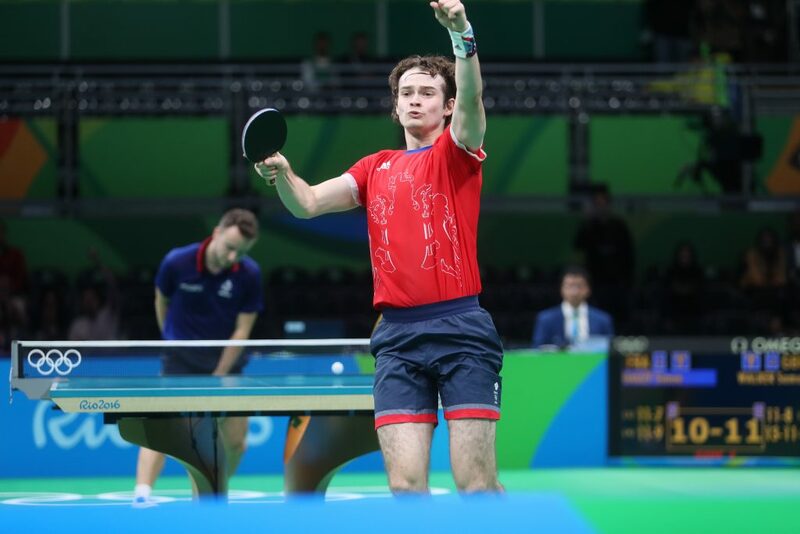 However, one of the standout results came in the opening round of the event as Great Britain’s Paul Drinkhall, Liam Pitchford and Sam Walker pulled off another shock 3-2 victory over France. “When he (Gauzy) was up 10-7 (in the decider), I was still focused and I never stopped believing that I could still win it.” stated a very happy Walker after his win sent Great Britain into the quarter-finals. Team GB’s journey was brought to an end by China, but a terrific campaign nonetheless. Away from the action, Rio 2016 saw a whole new set of trends come from the Table Tennis events. After every match the victor would sign a Table Tennis ball before hitting it into the crowd, with a lucky fan receiving a free souvenir. Rio 2016 was also the Olympic Games of selfies as player/fan interaction became a major theme throughout the competition. Table Tennis at the 2016 Olympic Games has finally drawn to a close, and the Olympic torch will soon be passed to Japan ahead of the Tokyo 2020 Games. What lies ahead in four years time? 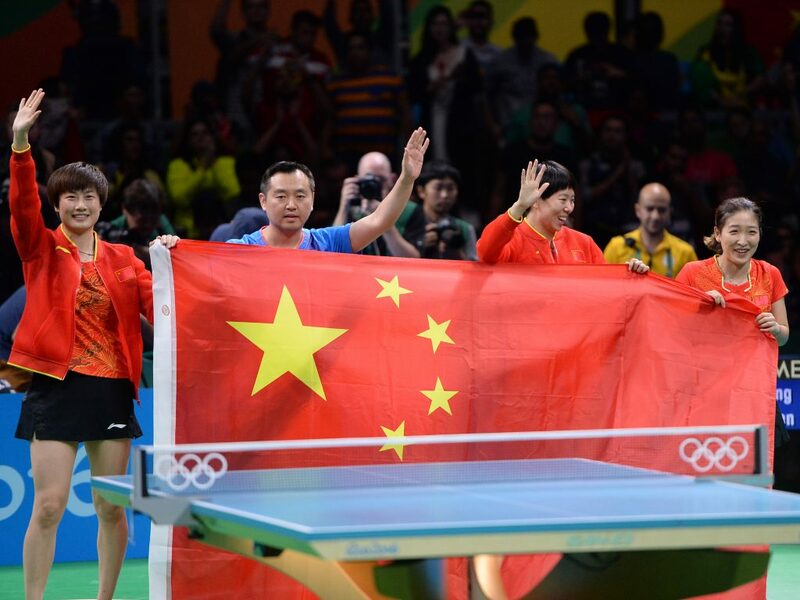 Will China remain the dominant force in world Table Tennis? Or will we see new challengers emerge? The only thing we know for certain is that Rio de Janeiro played host to almost two weeks of spectacular Table Tennis, and the wait for the next Olympic Games is set to begin.